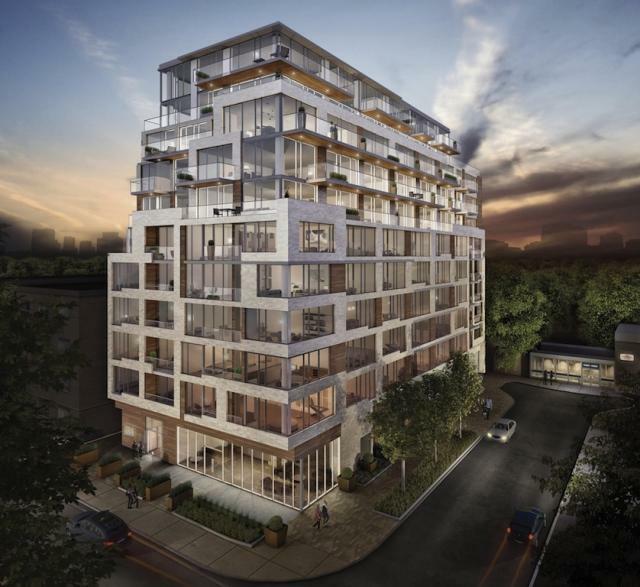 Designed to interact with the park and neighbourhood, this boutique residence features modern and playful interpretations of traditional cladding solutions, such as glass, brick and stone, while introducing warm wood textured elements. Chosen materials echo the unique and timeless character of High Park and Bloor West Village. Pass through the iconic iron gates into Toronto’s favourite playground - and enter an everyday retreat you’ll love. At The High Park, only Bloor Street separates you from forests and hiking trails, grassy expanses and quiet brooks.